Check out this NPR story from 2009 about Terry Harrington, a man not merely wrongly convicted, but actually framed for a 1977 murder by Iowa prosecutors. It seems police and prosecutors manipulated and concealed evidence that pointed to another suspect, leading to the wrongful conviction of Harrington, who served 25 years before his conviction was overturned. Harrington was black. The likely murderer was white. Did this fact play a role in the motives of an Iowa justice system determined to remove an unsolved crime from the books at any cost? That’s a pretty difficult question to answer, perhaps even for the principal players involved. Certainly they allowed something other than facts to influence their prosecution of the case. 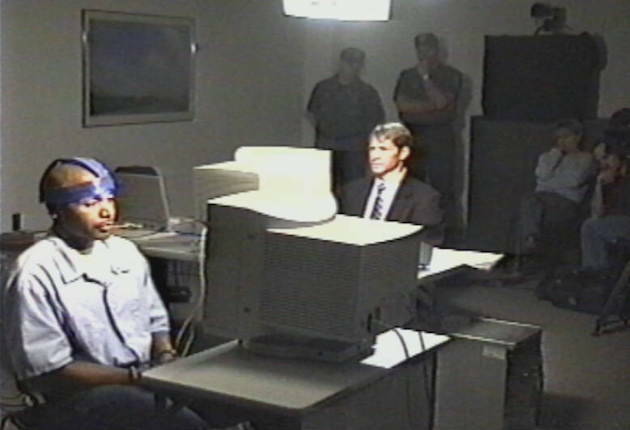 A doctor performs a brain fingerprinting test on Mr. Harrington, who was exonerated. Most of us harbor some kind of prejudice, even if we don’t know it. We make judgements. It’s how we organize our observations about people and their behavior. But sometimes we don’t even realize we’re making a judgement. We unwittingly dismiss people or assign them motives based on our assumptions about their age, race, gender, profession, education, attractiveness, accent, dress—even height. Malcolm Gladwell writes about this phenomenon in “Blink,” citing a variety of studies about how we perceive people instantaneously, before we are even conscious of our perception. Our minds make connections we aren’t aware of, such as connections between black males and violence, in one of his examples. And there’s this startling pair of statistics: only around 14% of American men are more than 6 feet tall, as compared with more than 58% of Fortune 500 CEOs. Why the shortage of short men in corporate America’s upper echelons? Read further down in the same excerpt to find Gladwell’s unsettling assessment of how we choose leaders. As investigators, these kinds of unwitting prejudices can hinder the quest for good intelligence. I found the following website interesting: Project Implicit has created a series of simple online keyboard-stroke tests that assess people’s split-second reactions to information about race, gender, and other possible sources of bias. I took one of the tests and found the results both illuminating and fascinating. The race-bias test takes no more than 5 minutes, and it’s almost like a quick video game. You can try it here. As if this all weren’t confusing enough, it’s not only our innate prejudices that can cloud our judgement. Sometimes information from clients, while often useful, can cause us to make assumptions about the subjects we’re observing. That we’re getting one side of the story is the very nature of the job. Even if our clients aren’t actively trying to bamboozle us (like about 95% of Thomas Magnum’s damsels-in-distress), they’re likely to tell their tale with a slant that ratchets up the purity and nobility of their motives and actions. Who wouldn’t? Case in point: The client tells you his wife hires a babysitter and goes out every Friday and Saturday night. He shows you receipts from her recent shopping sprees at Victoria’s Secret and a cell phone bill with lots of calls to a mysterious number. All this is factual, useful, and possibly telling information. Then he adds she’s been unkind, distant, and dismissive towards him lately, often doesn’t answer his calls, speaks to him sarcastically, and picks fights. Less factual and quantifiable–a fine line between reality and perception here. Then he throws in that his wife’s a manipulative, high-maintenance gold-digger who spends all his money on shoes and spa visits and is a lousy mother to their two toddlers. This last bit’s pretty much devoid of fact. Once we decide the subject’s not only guilty, but also evil, that’s all we’ll see. What do we do with all that information? It’s easy to sympathize with the client here, buy his story at face value, and let it fuel a little righteous anger on his behalf. We want justice for this poor guy and his little girls, and it’s our mission to help him by catching his wife in the act. Suddenly we’re the righteous crusader, and our work feels meaningful in a way that sifting through trash and watching a parked car for ten hours sometimes doesn’t. But once we decide the subject’s not only guilty, but also evil, that’s all we’ll see. To a person wielding a hammer, everything looks like a nail. Now everything she does reads as evidence of her narcissism and deception. Heck, maybe she even reminds us of that ex-special someone who, let’s say, left quite an impression back in the day…on our egos and bank accounts. Suddenly, we’re not searching for truth anymore. We’ve been programmed to look for the answer we think the client wants, and we want to please him. We’re rooting for him. We know what it’s like to be Wronged with a capital “W,” and we’ve named ourselves his Great Personal Avenger. Ultimately, this doesn’t serve the client’s interests any more than those Iowa prosecutors’ eagerness to convict someone, anyone, served the public interest in 1977. 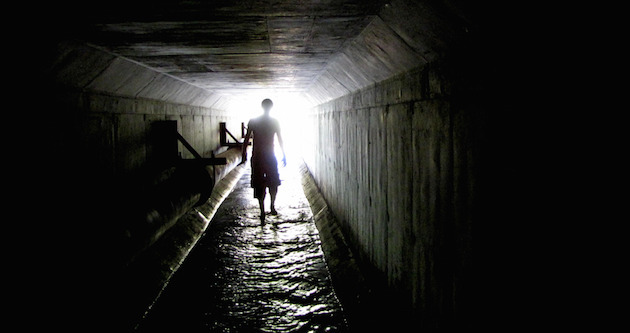 Tunnel vision never illuminates much of anything. The client hired us to find out the truth, even if he doesn’t grasp that at first. Even if the truth isn’t what he hoped it would be, and doesn’t serve his interests. The objective truth in the form of “actionable intelligence”—facts backed up by admissible evidence—is what we need to deliver. All that additional info about the shoes and the domestic cruelty? We sympathize, but we file it into the “irrelevant” pile and remind ourselves, yet again, to keep an open mind. Besides, you never know what the client isn’t telling you about his own actions and motives. People lie. Just ask Magnum.